Published on January 29, 2010 in General T&T, Politics and UNC. 9 Comments Tags: Basdeo Panday, Jack Warner, Kamla Persad-Bissessar, UNC. All eyes were on the new UNC Political Leader Kamla Persad-Bissessar, former UNC leader Basdeo Panday and the new Chairman of the UNC Jack Warner. 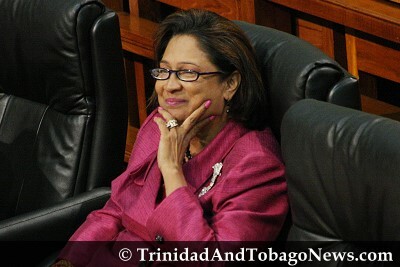 Panday, who arrived a few minutes late, offered Kamla his chair before eventually taking his seat in parliament. Panday’s loyalists diagreed with Persad-Bissessar’s appointment of Jack Warner as the UNC Chief Whip, claiming Mr. Warner is too inexperienced. Basdeo Panday remains UNC’s Opposition Leader as no motion has been made to replace him. Published on January 29, 2010 in Complaints, Letters and Politics. 2 Comments Tags: FFOS, Gary Aboud, Mangrove, Terrence Beddoe. EDITOR: The Laws of Trinidad and Tobago have been broken by the open removal of Mangrove forests on the Mucurapo foreshore next to the car park where the City Corporation park their trucks. Why has the Mayor or the CEO of the City Corporation not yet been arrested and charged or fired for incompetence and mismanagement? Are the 40 dedicated Environmental Police a few blocks away at the EMA offices in St Clair aware?